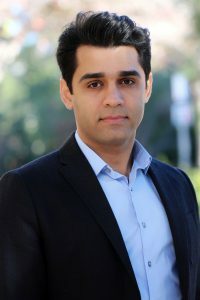 I am Mohammad H. Asadian, a Ph.D. candidate at the University of California, Irvine. I am working on full-cycle development of high-performance MEMS inertial sensors under the supervision of Professor Andrei M. Shkel. I graduated from Amirkabir University of Technology (Tehran Polytechnic), Tehran, Iran with B.Sc and M.Sc degree in Mechanical Engineering. I joined UCI Mechanical and Aerospace Engineering Department for my PhD in MEMS inertial sensors in UCI Microsystems lab (Shkel’s lab).